Welcome to Space Station Prime, where S.M.A.R.T. Agent Delta has docked to find total chaos. The computers are down, the science labs are a mess, and the communication system is barely functioning—all because of sabotage! 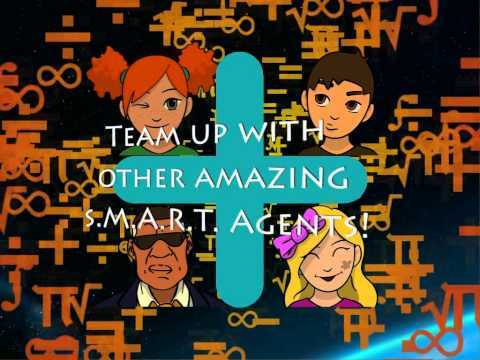 Playing as Agent Delta’s assistant, Junior Agent Star, players use their math skills to repair the science labs and figure out who sabotaged the space station. Created specifically for girls, this exciting mystery adventure puts girls in the starring role while presenting plenty of positive female role models and staying free of stereotypes. Better yet, math practice has never been this much fun! The S.M.A.R.T. Adventures series of educational games allow girls to celebrate who they are and what they can achieve. Designed specifically for girls, S.M.A.R.T. Adventures games use advanced learning and teaching techniques to help players attain math, science, and technology literacy and to instill confidence in girls of all ages and stages of education.